It is always nice to have some gadgets in your kitchen to help you with the little chores required for preparing the dishes. From all the chopping, blending, and whisking needs, now you don’t need to buy different products. The modern hand blenders can do the job within seconds, which, otherwise, will take some extra efforts and time if done manually. Many of the top kitchen appliances makers in the country make some of the best hand blenders which you can consider for your kitchen as an additional helping hand. 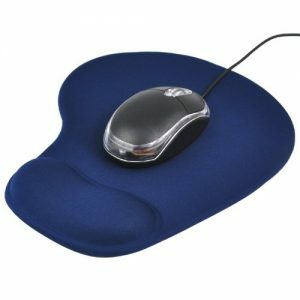 1) Ergonomically designed, this Philips can be held with a firm grip with all the buttons and controls easily accessible. 2) The hand blender comes with clips to keep the cable organised in its place. 3) With two blender heads, the process is made faster and much more efficient and it does include some extra fittings like dough hooks and strip beaters. 4) It has a 300-watt motor that can be used with 5-speed settings for different dishes with all its parts made out of stainless steel. 5) The company has ensured that the hand blender is easy to clean when you are done. 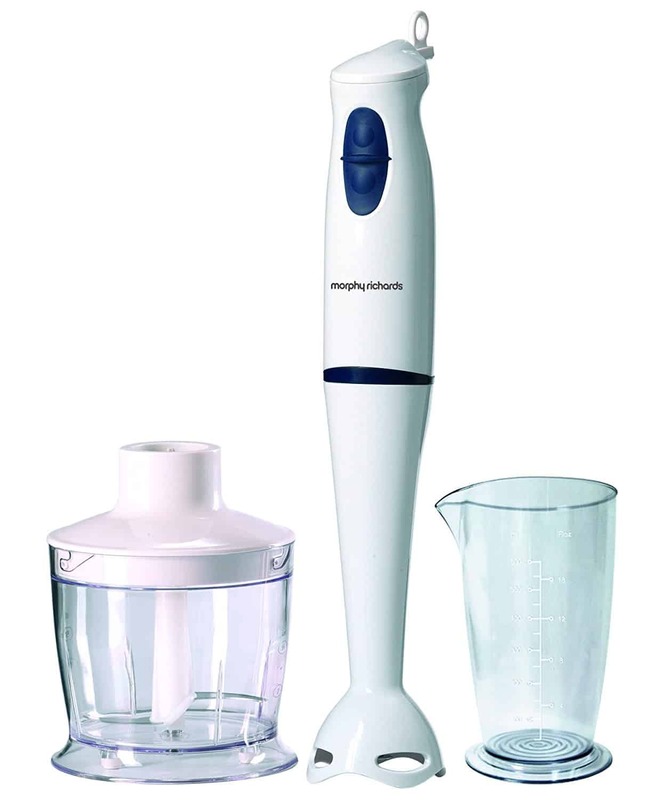 6) With a brand warranty of 2 years, this is the best hand blender you can buy in any budget. 1) Bajaj has designed this hand blender in an all-black colour making it look much more sophisticated. 2) Moreover, coming from a brand like this, you can completely trust it with the after sales service which is offered for 2 years. 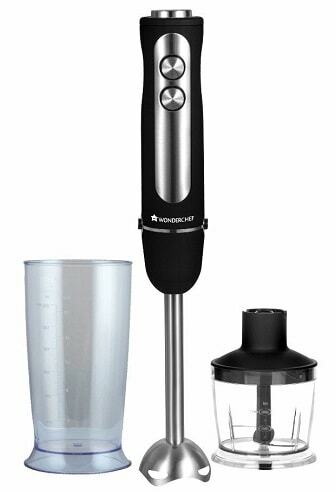 3) This hand blender has a pretty powerful 250-watt motor that can efficiently take care of your kitchen needs. 4) You will get three-speed settings that can be adjusted for the best results based on the dish being cooked. 5) The beater attachment and the dough hooks come included in the package to cover all the stuff you might need a blender for. 6) Bajaj has made it lightweight to help you easily operate it for extended periods. 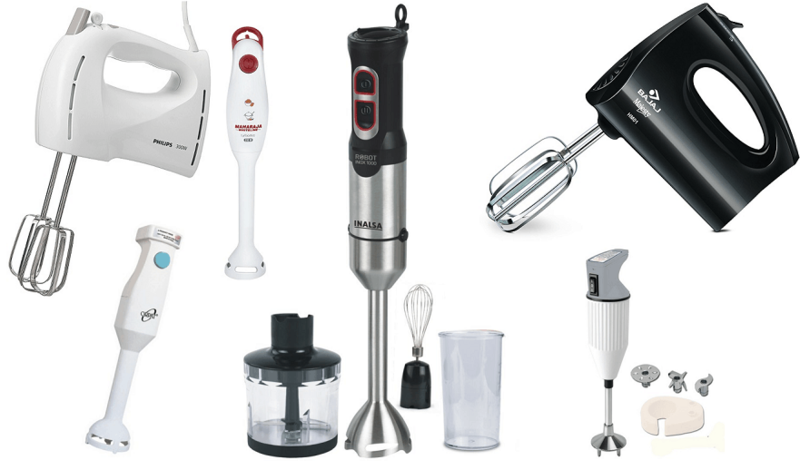 1) This is probably the most powerful hand blender on this list with a 600-watt motor built into it. 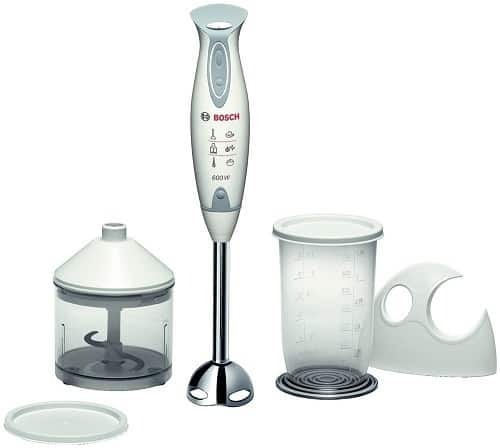 2) Coming from a company like Bosch, the hand blender has a great build with the use of quality parts. 3) The best part about it is the inclusion of extra mini chopper and beaker that further expands its usability. 4) All these can be used by removing the spinning head and using the blender with other attachments. 5) Its blades are made of stainless steel and the blender can spin it at variable speeds along with at turbo speed. 6) Featuring an ergonomic design, the blender is easy to hold and operate with its unique shape. 7) The beaker can take up to 1.25 litres of material at a time. 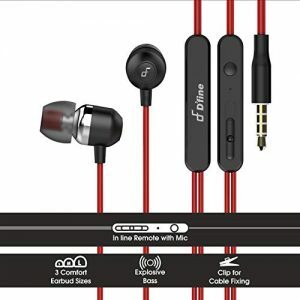 You will get a warranty of 2 years from the company. 1) With a touch of elegance, this hand blender from Wonderchef has metal elements on the handle, too, besides the blender head made out of stainless steel. 2) For making the blended even more useful, a beaker and a mini chopper that are also made out of quality food-grade plastic material. 3) They measure 600ml and 500ml respectively, which is enough for most. 4) The two control buttons are easily accessible and are soft-touch buttons while operating the blender with one hand. 5) It has a sturdy 550W motor for doing all the aforementioned stuff and the company offers a warranty of 2 years. 6) With all its features, this is the most value for money hand blender currently available in the market. 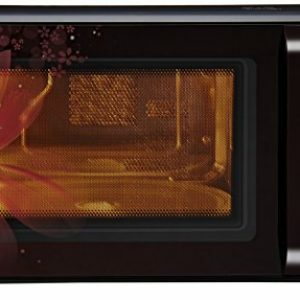 1) One of the most reputed brands in kitchen appliance space, Morphy Richards, makes some of the best products in the market. 2) Using all the blender parts and attachments Morphy Richards ensures an efficient performance with its reliable hardware. 3) The shaft is made of stainless steel which can be replaced with a tall beaker or chopper attachment, while the handle is thin and ergonomic for a better grip. 4) On the top, two soft push buttons can be used for adjusting the speed of its 400-watt motor that is powerful enough for the daily chores. 5) The beaker measures about 600ml for an optimal use of the blender. 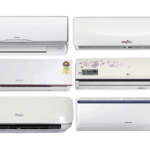 6) Coming with a standard warranty of 2 years, you can expect a quality after sales service support. 1) Sporting an industrial look, Inslsa has designed this hand blender almost entirely out of stainless steel with comfortable plastic on the top. 2) Unlike most of the hand blenders, this one comes three attachments that include a mini chopper, measuring beaker, and a whisker. 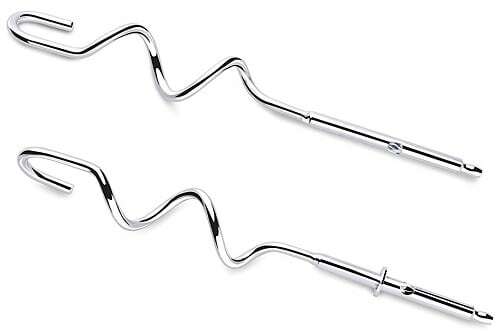 3) All these can be used by replacing the detachable stem that is also made of stainless steel for sturdiness. 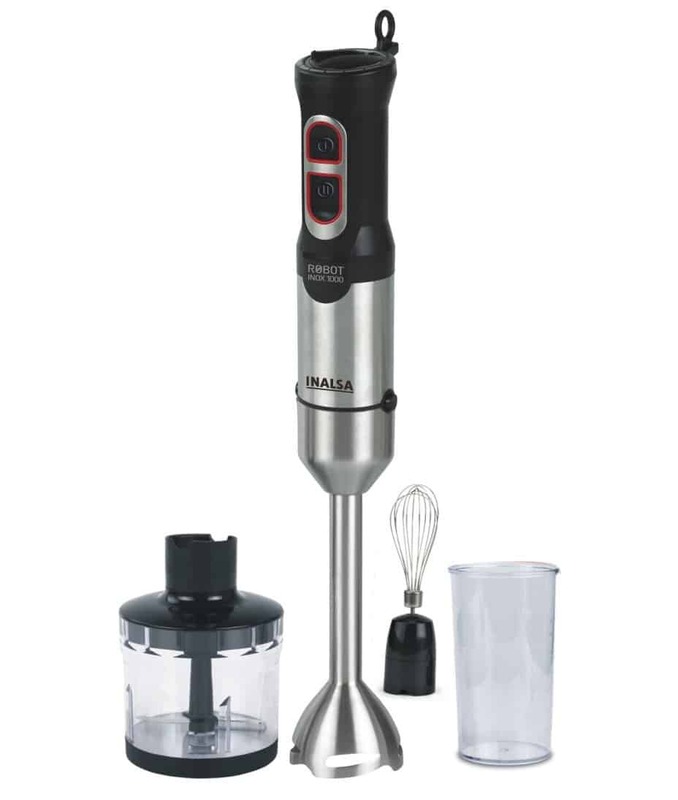 4) These attachments some extra power and for that Inalsa has included an 800-watt motor that is the best any blender can currently offer at this price. 5) Its attachments are easy to remove and replace while its ergonomic design ensuring better control. 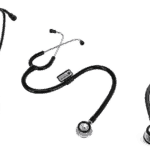 6) The company will provide after-sales support for up to 2 years. 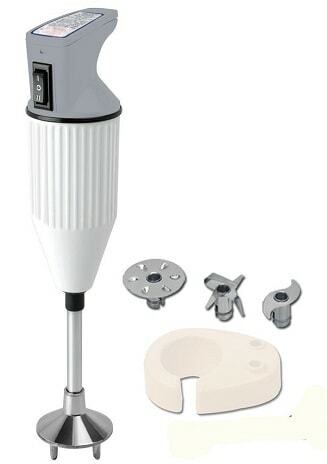 1) Not everyone needs many extra features and all they need is a simple hand blender, which is being offered by Orpat. 2) Positioned as an entry level product, you will find a great value for your money with all it can do at this price. 3) The company has included a 250-watt motor that is more than what’s required for daily chores. 4) For an easy storage option, you can hand it on the wall with the included wall mount. 5) Its stainless-steel blade means everything is properly blended without them damaging the blender itself. 6) Orpat has included a 2m long wire while its motor can spin at 1800 RPM. 7) The blender features a comfortable grip and the button is easy to reach with a soft touch. 1) Coming with an elegant design with red accent colour on the base white colour, the hand blender from Maharaja is a perfect addition to your kitchen. 2) The company has included a loop on the top to easily hand it anywhere in the kitchen. 3) The stem is made out of high-quality plastic with a stainless-steel blade and it can be detached for cleaning. 4) The included control switch is accessible using your index finger that will naturally be placed there. 5) It has a 350-watt motor that can cater to all your blending needs while its grip provides optimal holding position. 6) A warranty of 2 years will come included with the purchase of this hand blender from Maharaja. 1) Kitchen King’s hand blender is designed keeping in minds the Indian kitchen needs and it comes with some extra attachments just for some Indian dishes. 2) Including the main blender head, you will get one each of chutney attachment, mincer blade, whisker blade, and beater blade. 3) The wall mount has also been included in the box for hanging the blender in a corner. 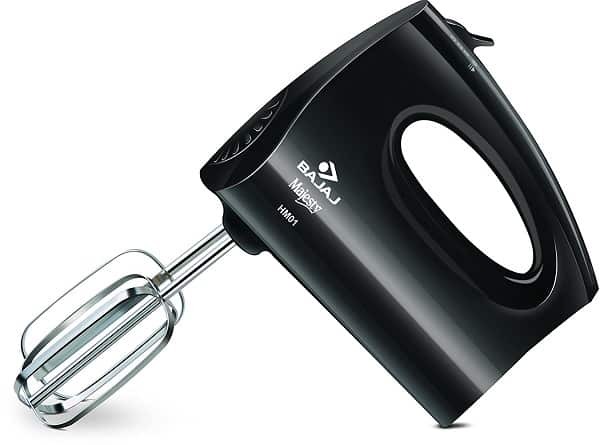 4) The company has included a heavy-duty motor that is rated at 250W with the hand blender itself including an unconventional design that is still comfortable enough for regular use. 5) With all the attachments and the powerful motor, you can take care of most of the kitchen needs with this product itself. 1) Prestige is a renowned brand in the kitchen appliance market and it makes some quality product, including this hand blender which features a sophisticated design language with the inclusion of black color and metal. 2) The shaft and the blending head is made out of stainless-steel with the blade covered with a shield to keep you safe from it. 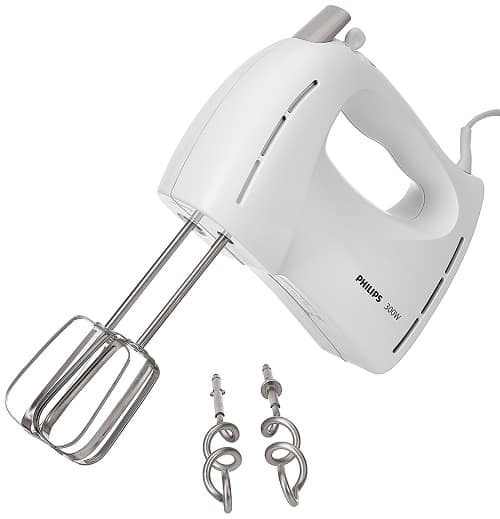 The package also includes a whisking attachment in case you need one while, say, making a cake. 3) With the included blending jar and a chopper, you can further extend its usage in your kitchen. 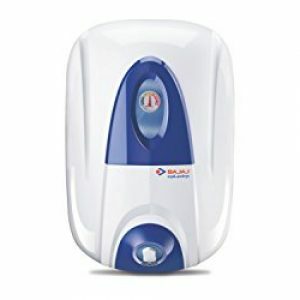 4) Its 200W motor can be operated at two-speed settings according to your requirement. 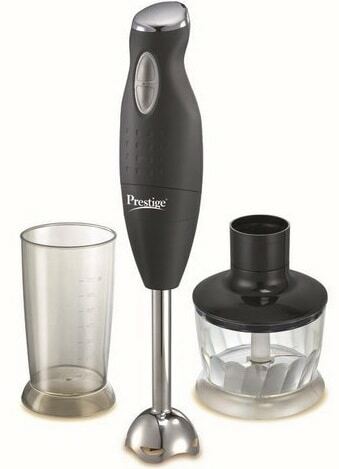 5) This hand blender from Prestige is quite lightweight and is easy to operate for extended durations at a time. 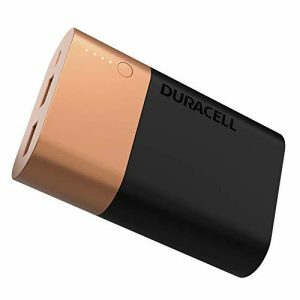 6) The company is offering a warranty of 1 year on this product.